We're all about building creative community as makers, artists & teacher. We are the folks that call Klum House our creative home. We can be found teaching, making, partying & snacking in the workshop at any given point. We work together to inspire each other and you to create. It's a synergy of craft based businesses functioning alongside creative arts education. 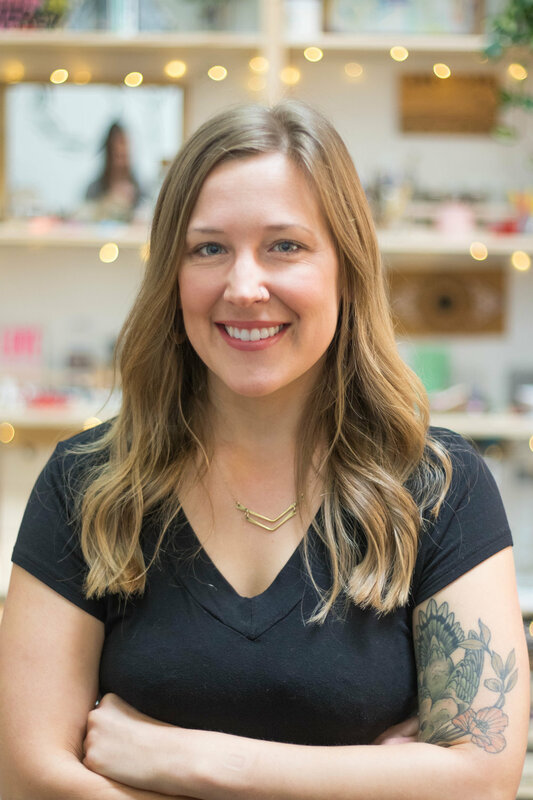 Ellie founded Klum House because she loves inspiring people by teaching sewing tips & tricks through fun, hands-on workshops and patterns. She's been a professional bag maker for 20 years through RE Load Bags, a messenger bag company she cofounded in 1998. She carries that love for quality handcrafted goods forward to Klum House Workshop. Ellie teaches our bag making classes, designs bag patterns, and teaches private lessons on bag design, craft & creative business. She works in our our collaborative sewing studio alongside her apprentices. As a 22-year old, Lydia was gifted a used Singer sewing machine. 10 years, many patterns and countless YouTube videos later, Lydia is very excited to share her knowledge of sewing and making with the Klum House community while continuing to learn from all the inspiring makers around her. She also loves exploring Portland's great restaurants, endless trails and swimming holes with her sweet dog Osa. Lydia is our events coordinator, teaches our garment sewing classes & DIY workshops, and works in our collaborative sewing studio making leather goods. Q & A with Lydia! Ellen likes to think of her textile work as a collaboration with the natural world. She is an aficionado of shadows and tree bark and fallen leaves. In her opinion, paint splatters on the sidewalk can be as beautiful as a Jackson Pollock, crop fields from the window of an airplane as lovely as a Mondrian. Ellen teaches our Cyanotype workshops, manages our social media accounts & writes our newsletters. Thea is a bilingual artist & educator intent on connecting people to their highest creative potential through the small and dedicated acts of printmaking & sewing. She has been an industrial stitcher for 18 years. With a strong commitment to social & environmental justice, she is a member of Justseeds as well as ECPM68, an autonomous school in Mexico City. Thea teaches our block printing classes, industrial sewing classes, and works in our our collaborative sewing studio on custom & small batch manufacturing projects. 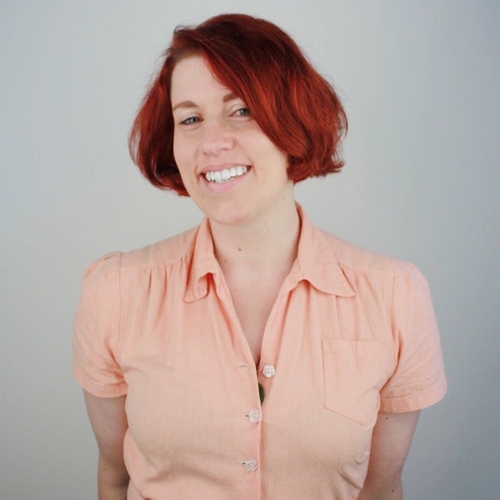 Katie is a professional sewing writer, educator & pattern-maker based in Portland, OR. She loves making things, eating avocados, and drinking coffee way too late at night. Katie teaches our intermediate garment sewing workshops, tech edits our patterns & reps our bag pattern line. Heidi is a freelance graphic designer with deep roots in the board sports industry. When she's not snowboarding, skating or surfing, she's learning how to make bags & working on her new passion project! Heidi manages the fulfillment and shipping for our patterns & kits as well as being our in-house graphic designer and assisting sewing classes. Klein + Lum = KLUM. Dustin Klein is our in-house artist & the supportive partner of Ellie Lum, our founder. He has adorned our walls & surfaces with his beautiful commotion brush work. He is also the designer behind our logo. Molly is a digital marketing expert, writer, ardent dill pickle fan and…. millennial. She studied mass communication at UNC Asheville. Her love for writing, fiction and film impacts the style in which she creates digital content. Companies are no different than a character in a short story or poem: They have unique accomplishments and challenges that people delight in relating and understanding. As our marketing strategist, Molly is the brains behind our marketing strategy, media communications, and SEO. She also crashes all our sewing classes & makes rad stuff with us! Rheagan Dukes has a passion for helping people express themselves through her clothing designs. As a graphic design major, she looks forward to solving problems through art and design, while making others around her feel good about themselves. Her ultimate goal is to own a multimedia design studio & design custom clothing for everyone! She's excited to have joined the Klum House family! As our shop intern, Rheagan is responsible for keeping everything looking good, so the shop stays clean & welcoming. She also assists with sewing classes and keeps the plants watered & happy! Kath is a multi-disciplinary designer about to graduate from a masters in Applied Craft and Design (OCAC / PNCA) in Portland, Oregon. She is British, exploring an unexpected career path that has led her to the Pacific North West. Kath is the mastermind behind our patterns & kits branding. She also works with us on freelance graphic design projects & continued sewing pattern development. Winston is a 6 lb wonder dog with a big personality. This little guy loves playing hackey sack & chewing on rabbit ears. He is always game to sit in our laps while we sew! Winston is the official Klum House Mascot & instagram model. He keeps our feed fuzzy & cute!